Spray your slow-cooker with cooking spray and add the beef tips and mushrooms. In a small mixing bowl add the mushroom soup, red wine and onion soup mix… stir until well combined and then pour over the beef tips and mushrooms and stir together. Cover the slow-cooker and cook on HIGH for 4-5 hours. 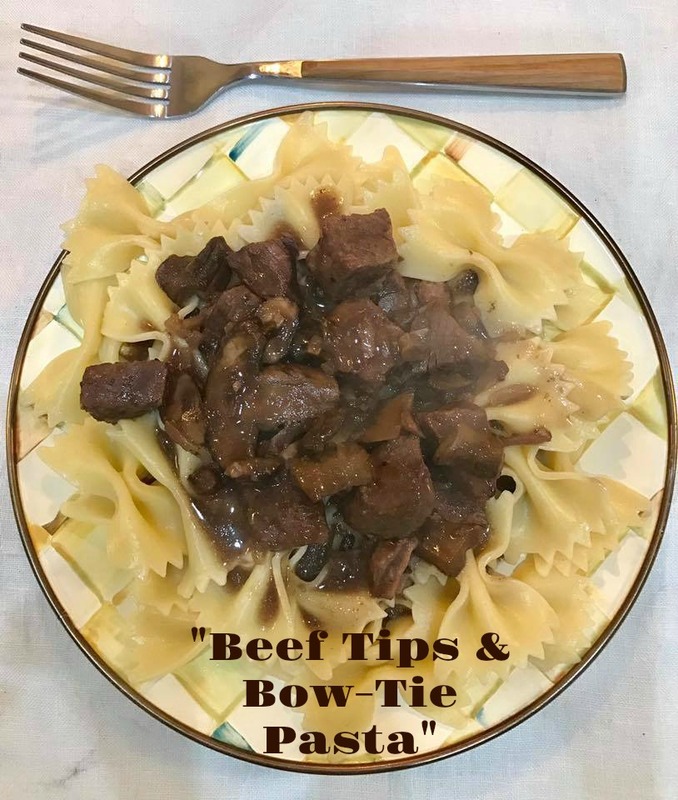 Serve over bow tie pasta and ENJOY!